Philip Scott Fournier looks at his attorney at the Penobscot Judicial Center in Bangor after a guilty sentence was declared for the murder of Joyce McLain 37 years ago in East Millinocket, Feb. 22, 2018. 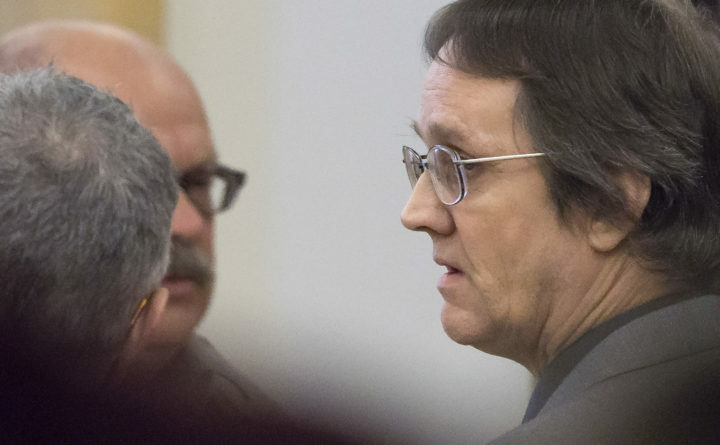 The Maine Supreme Judicial Court on Thursday unanimously upheld the murder conviction of Philip Scott Fournier in the death of 16-year-old Joyce McLain in 1980. Fournier, 58, of East Millinocket, who was 19 when McLain was killed, is serving a 45-year sentence at the Maine State Prison in Warren. He was arrested in March 2016. Superior Court Justice Ann Murray found Fournier guilty of murder in February 2018 following a jury-waived trial at the Penobscot Judicial Center in Bangor. From the time of her daughter’s murder, Pamela McLain prodded police to keep investigating, raised money to have her daughter’s body exhumed and worked with other parents of slain children. McLain said Thursday that she was relieved by the court’s decision. “It just confirmed that the court did the best they could do and they did it the right way,” she said. “They covered all sides correctly, if I read [the decision] correctly. “Anything that he thought was wrong, they affirmed was done completely,” she added, referring to the arguments Fournier made in his appeal. McLain said that she has spent the last year doing the one thing the murder and her activism never really allowed her to do: grieving. 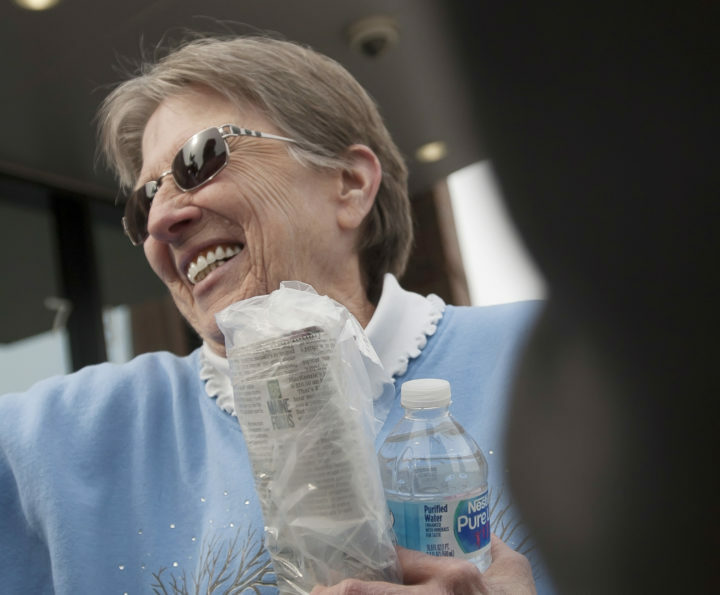 Pam McLain is all smiles as she greets well-wishers and friends out side the Penobscot Judicial Center in Bangor after a guilty sentence declared for Philip Scott Fournier for the murder of Joyce McLain 37 years ago in East Millinocket, Feb. 22, 2018. Five justices on the state’s high court heard arguments in Fournier’s appeal in December at the Cumberland County Courthouse in Portland. Fournier’s attorney for the appeal, Rory McNamara of Berwick, argued that the defendant did not waive his religious privilege by telling his parents what he told his minister, to whom he had confessed killing McLain. McNamara also said Murray should not have excluded testimony by a detective about why he did not arrest Fournier when he confessed in 1981, or evidence about a number of alternative suspects interviewed by investigators. The court rejected all of those arguments in a 14-page decision written by Justice Joseph Jabar. By telling his parents what he told his pastor, Fournier waived his right to religious privilege, paving the way for the minister to testify, Jabar said. “Although Fournier did not disclose to his mother and stepfather every detail of the information that he had disclosed to the pastor, he disclosed a ‘significant part’ of the privileged matter, namely, that he had killed the victim,” the justice wrote. The trial also correctly excluded the opinion of a former detective about why Fournier was not arrested earlier and information about alternative suspects, Jabar said. McNamara declined to comment on the decision. The Maine attorney general’s office did not immediately return a request for comment. McLain’s partially clothed body was discovered early on the morning of Aug. 10, 1980, behind the athletic fields of Schenck High School in East Millinocket. The back of her skull was caved in. Philip Scott Fournier is escorted into the courtroom for the opening arguments of his trial at the Penobscot Judicial Center in Bangor, Jan. 22, 2018. In convicting Fournier, Superior Court Justice Ann Murray found that his 1981 confessions to a minister, his parents and police were confirmed by his alleged 1989 statement — “I killed her” — to a co-worker who asked what he knew about the McLain slaying. 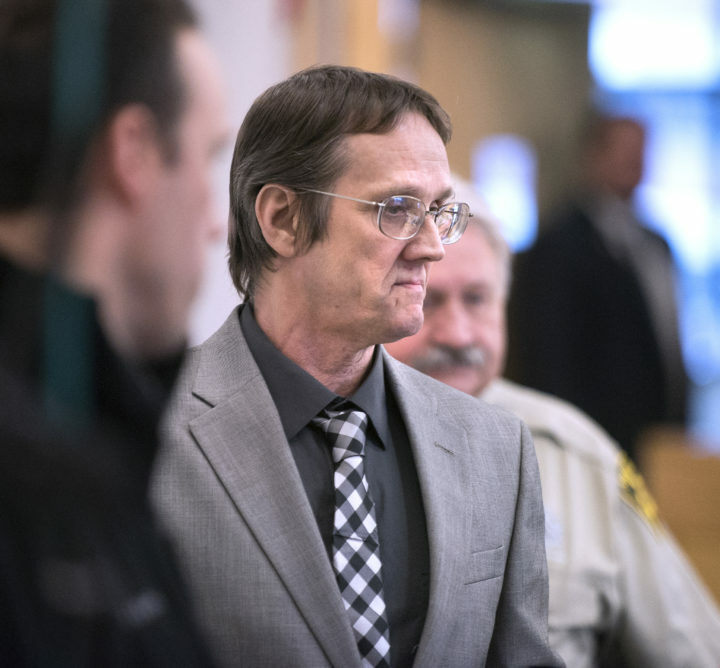 Fournier recanted his 1981 confessions but did not take the stand at his trial to rebut Bangor High School janitor John DeRoche’s testimony about the 1989 confession.